Within fairly moderate budget, you can purchase our Two Tone Wavy Drawstring Tote Bags which contain spacious carrying capacity for your sports gear, bottles, foods, wallets, keys, and phone. 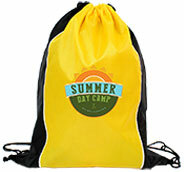 You can get ready for a summer picnic or group cycling with these lightweight back packs, their bright colored style makes them great party favors, school, and sports supplies. As per your needs, you can also imprint your school, or sports team’s logo while distributing them as giveaways among the students. 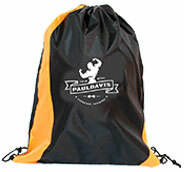 The accessible drawstring closure makes it easy to put in and take out your snacks, bottled water, and phones etc. Since they are a popular way to carry your necessities, adding extra personalized messages can help promote your school, team, and events.